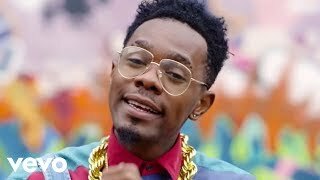 Patrick Nnaemeka Okorie (born 27 May 1990), better known by his stage name Patoranking, is a Nigerian reggae-dancehall singer and songwriter. Patoranking, who is a descent of Ebonyi, started his musical career doing underground collaborations with artists such as XProject, Konga, Slam and Reggie Rockstone. He signed a record deal with K-Solo's Igberaga Records in 2010, releasing "Up in D Club" under the outfit. 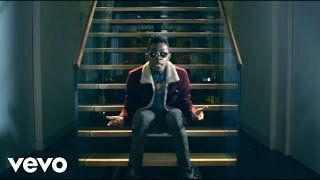 Patoranking became a protégé of Dem Mama Records after collaborating with Timaya on his song "Alubarika". In February 2014, he signed a record deal with Foston Musik and released "Girlie O", a single that put him in the limelight. On 9 February 2015, Patoranking announced via Instagram that he signed a distribution deal with VP Records. In May 2012, Patoranking released a single titled "Iya Bisi" featuring Qdot and Kbaj. The song, which is a fusion of dancehall and Fuji, was produced by Drumphase. Patoranking told Entertainment Express that Qdot and Kbaj helped compose the song by sharing ideas with him. On 12 September 2013, Patoranking released the video and audio for "Alubarika" simultaneously. The song literally translates to "God's Blessings" and features vocals from Timaya. The music video for "Alubarika", which was shot by AJE Films, ran for 4 minutes and 16 seconds. According to an article posted by Victor Akande of The Nation, Patoranking described the song as a summary of his life as a musician. He also said that the song opened doors for him in terms of building a fan base and working with established musicians. In February 2014, Patoranking signed a record deal with Foston Musik and ended his affiliations with Dem Mama Records. During an interview with Toolz on NdaniTv's The Juice, Timaya said that Patoranking left his label and was never officially signed. 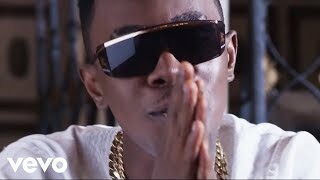 On 4 February 2014, Patoranking released "Girlie O", a song produced by WizzyPro. The music video for the song was shot and directed in London by Moe Musa. It was released on 5 February 2014, a day after the audio release. 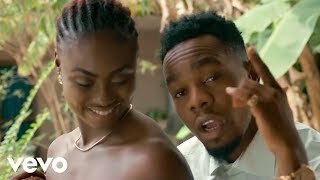 In the music video, Patoranking liberates his next door neighbour from domestic violence by expressing his innate feelings to her. Foston Musik released "Girlie O Remix" on 19 May 2014 to critical acclaim. The song features vocals from Tiwa Savage. 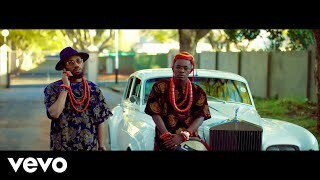 It debuted at number 9 on MTV Base's Official Naija Top 10 chart. Tiwa Savage told Ehiz of the aforementioned chart show that she admires Patoranking's music and decided to reach out to him to do the remix. The music video for "Girlie O Remix" was also shot and directed in London by Moe Musa. Joey Akan of the Pulse commented on the song and said that "On the new remix, the basic winning elements were not discarded. They were retained and improved. The beat, chorus, and dynamism were held onto, and major work put into the lyrics." Patoranking was featured on Seyi Shay's "Murda" single alongside Shaydee. The song was produced by Dokta Frabz and released on 1 April 2014. On 11 May 2014, the music video for "Murda" was uploaded onto Vevo. It was directed by Meji Alabi for JM Films. 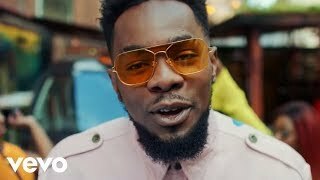 2015 marked a successful year for Patoranking as 2 of his singles; "Daniella Whine" and "My Woman, My Everything" were chart toppers on the MTV base Official Naija Top 10 Chart. "Daniella Whine" debuted at number 4 in May and went on top the chart as number 1 in June. "My Woman, My Everything" also made the chart when it was released, peaking at the number 2 spot. Flavour And Patoranking Throwback Photo Genuinely Defines "Started From The Bottom"